Two of my favorites! 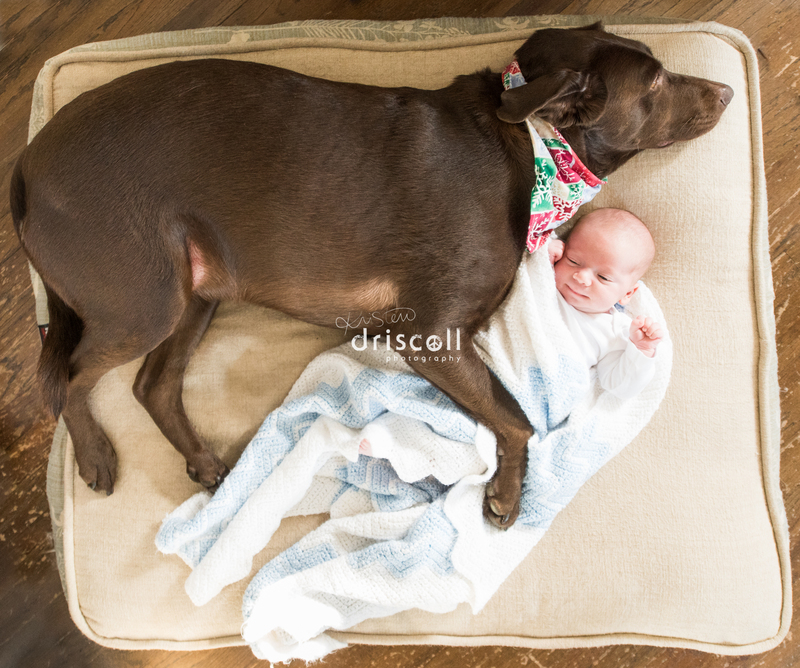 I adore babies.. and I love dogs – so you can imagine my excitement when I captured this precious moment of newborn baby “L” and his guard dog, Lexi! From the moment I walked into this family’s Point Pleasant, NJ home and saw this awesome dog, I started dreaming of this image. Our session ended in Mom and Dad’s bedroom (I love posing baby safely on the bed) with lots of natural light streaming in. Lexi nearby was laying in her bed, so sweet and calm. I knew our session wouldn’t be complete without at least trying for this image. Mom and Dad helped by staying close for safety, as this 3 week old snuggled his doggie! Adorable!